Laura Curry first became interested in estates and trusts when practicing as a family law attorney at the start of her career. She learned that each family had their own dynamics which shapes their goals and desired outcome. It was quickly apparent to her that planning and re-evaluating plans when necessary is critical to families as life changes course. Laura’s unique professional background as a family law attorney and working at a creditors’ rights law firm provides her with the skills to bring comprehensive services to our clients. Laura was first attracted to SinclairProsser Law because of their approach to work with clients throughout years and life stages. 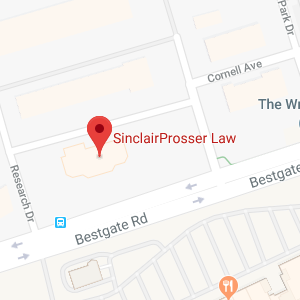 SinclairProsser Law strives to make our clients confident about their choices to provide peace of mind and lasting security. Laura is admitted to the Maryland Bar and is a member of the Maryland State Bar Association. She is also a member of the Women’s Bar Association and several local chapters. Most recently, Laura worked at a law firm representing community associations throughout the State of Maryland. She served as a Managing Attorney supervising the daily operations of the paralegal department and several administrative staff members. In addition to being highly organized and detailed oriented, Laura continuously strived to keep a high level of customer service in her interaction with homeowners as they were faced with extremely difficult circumstances. Previously, working as an associate in the Maryland office of a large, multi-state creditors’ rights firm, Laura’s responsibilities included the defense of lenders in foreclosure cases throughout the state, including attendance at legally-mandated mediations intended to resolve the dispute between the parties outside of litigation. She believes her experience working in emotional settings with the desire to reach an equitable solution for all parties translates well in her role with SinclairProsser Law. Laura started her career working in a small family law practice and quickly gained litigation and courtroom experience. She is excited to bring this skill to the team as she will be working on various elder law issues including guardianships for the firm. Laura received her Bachelor’s Degree in Political Science from the College of the Holy Cross in Worcester, MA, and she attended law school at the University of Baltimore. She graduated in 2009 with both a Juris Doctorate and a Master’s Degree in Public Administration. While in law school, Laura was an Associate Editor of the Law Review Journal and had her law review article published in the Holy Cross Journal of Law and Public Policy. 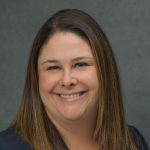 In 2014, Laura graduated from the University of Baltimore School of Law with a Master of Laws in Taxation after completing advanced courses in estate planning and tax. Laura lives in Catonsville, Maryland with her husband and daughter. She enjoys spending time with her family and reading. Laura spent a year living abroad in Galway, Ireland and continues to enjoy traveling when she is able.